The sights and sounds of the season are everywhere and so are the smells. "What does summer smell like?" you may ask. To us it smells like summer cookouts. It&apos;s that wafting smell of something coming from the grill. 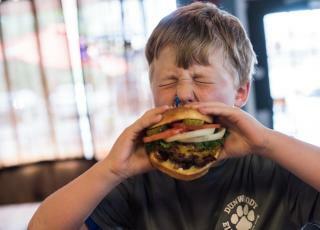 Follow your nose to Dunwoody where the barbecue and burgers are so delightful and delicious, we devoted an entire blog to it. The best thing about BBQ is the fact that it hits the spot no matter the time of year. As long as the weather permits, we believe the grill can and should be fired up any time. And if your grillin&apos; skills aren&apos;t quite up to par, let someone else do it - like Melissa Cookston. She&apos;s a 7-time world barbecue champion, the winningest woman in BBQ, and the owner of Memphis Barbecue Company Her restaurant is the perfect fix for all you BBQ afficionados out there. We suggest starting off with their most popular appetizer, the BBQ nachos. Enjoy fresh fried chips piled with pulled pork (or pulled chicken, or brisket), BBQ sauce, queso dip, lettuce, tomatoes, jalapenos, and sour cream. Sounds amazing, right? From there you can work your way to the preferred entree of your choice: pulled pork, beef brisket, baby back ribs, and more. Throw in a side of mac and cheese or red beans and rice and you are well on your way to a food coma. Feel like walking on the wild side? Try their donut burger. 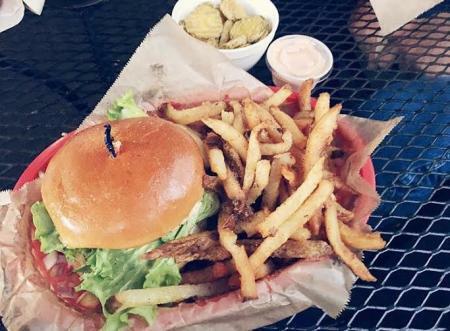 If it&apos;s burgers that you seek, the juiciest ones you shall find in Dunwoody! We even have an unconventional burger option that will stimulate both your taste buds and your brain. Village Burger has a large selection of not just burgers, but hot dogs too. But let&apos;s get back to the burgers. They were voted best burger in Dunwoody after all. All burgers are fresh, never frozen, and made to order with your favorite toppings. They are especially tasty when paired with VB&apos;s seasoned or salted, hand-cut fries. A meal here costs $10, and if that&apos;s not desirable enough, then how about this: Village Burger also serves frozen custard. Order a shake, sundae, or concrete to top off your good eats with a sweet treat. At Farm Burger, ethical eating is made easy. Their burgers are made from grass-fed beef, free from all antibiotics and growth hormones. The amount of options to build your own burger are quite generous and they have everything from the traditional farm burger to veggie quinoa, chicken, and pork burgers. Their menu also contains bonus summer snacks like boiled peanuts and sweet potato hush puppies with apple butter. Yum. Vino Venue has a couple of burgers on their menu that are irresistible and impossible to ignore. Their Man Burger is the perfect hybrid of BBQ meets Burger with its two brisket and short rib patties. And there there&apos;s the Vino Venue Burger. Smoked wagyu, lettuce, tomato, onion, pickles, and comeback sauce. Add Irish cheddar or a fried egg, and cherrywood smoked bacon. It’s almost enough to make you wonder why Vino Venue is known as Atlanta’s Wine School and not Atlanta’s Burger School, but they’re allowed to be great at more than one thing. 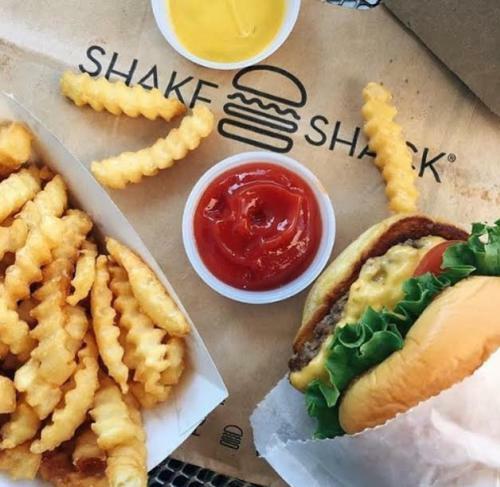 We know you&apos;ve heard of Shake Shack. And if you&apos;re hashtag blessed, then you&apos;ve had it too. From their signature ShackBurger to its variations like the SmokeShack and the &apos;Shroom Burger, you can&apos;t go wrong. Especially if you order the cheese fries. We&apos;ve given you enough to keep you full and happy all summer long. Dine In. Carry out. Nap Often. 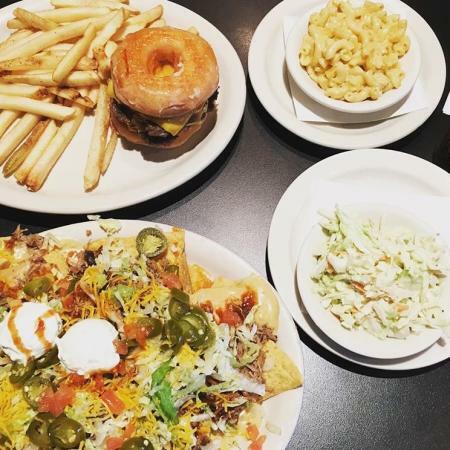 And in between those naps, post your food pics on social media using #DiscoverDunwoody. We&apos;ll repost and then probably reach out to schedule a lunch date.